At a time when Neonatal Care and saving the lives of newborns is becoming a national priority, Bangalore based Motherhood, a leading network of Women & Children’s hospital is expanding their network of Neonatal Intensive Care Units (NICU) to better serve premature newborns and sick babies born in the city of Bangalore and neighbouring districts of the state. The single speciality women & children’s hospital chain currently has 4 hospitals in Bangalore with a 5th facility currently under execution. It has multiple new hospitals under execution across the country. The first phase of 70beds NICU expansion at an investment of Rs. 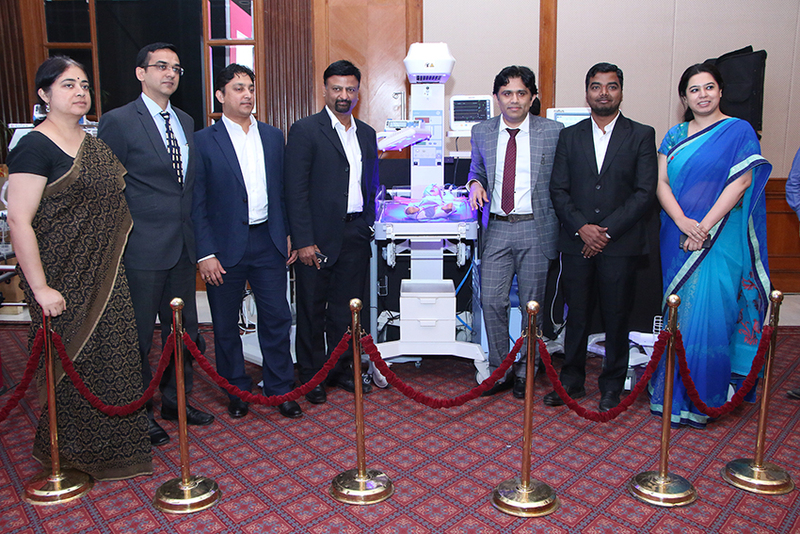 150 million makes it a large network of NICU beds across the city of Bangalore. The network will be backed by a full-time team of 34 highly trained and specialised Neonatologists along with a team of skilled nurses. Nearly 0.75 million newborns don’t survive every year in India, the highest for any country in the world. The neonatal period—the first 28 days of life—carries the highest risk of mortality per day than any other period during the childhood. The daily risk of mortality in the first 4 weeks of life is 30-fold higher than the post-neonatal period. Still, new-born health did not receive the commensurate attention it deserved until during the past decade. This has resulted in a slow decline in neonatal mortality rate in our country. Preterm complications & infections are the two main reasons for neonatal deaths in India. Unless immediate action and appropriate measures are not taken, the neonatal mortality rate cannot be reduced. Motherhood Hospitals has recently operationalised its 4thhospital in HRBR Layout and will be launching its 5th centre in South Bangalore, Banashankari by beginning of 2018. It will also foray its presence in cities like Mumbai, Pune and Chennai by end of the financial year. The company was funded by leading private equity fund TPG Growth in 2016. “Infant mortality and morbidity in the country is on the rise. India’s next big challenge is to meet the 2030 Sustainable Development Goals (SDGs)–which countries have agreed upon under the aegis of the United Nations Development Programme–on child and neonatal mortality. The SDG is to reduce child mortality to 25 per 1,000 live births and neonatal mortality to 12 per 1,000 live births. Therefore, it is extremely important that healthcare in India recognizes the gap and act on it” shared by Dr. Pratap Chandra, Dr. Vikas Satwik and Dr. Prashanth Gowda, Senior Neonatologists at Motherhood.